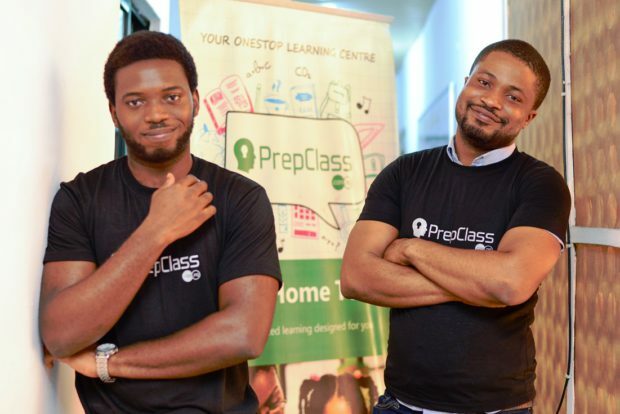 PrepClass, an online educational platform which makes test preparation easier for Nigerian students, is the brainchild of 22 year old Chukwuwezam, a 2014 Anzisha Fellow and his co-founder Ogunlana Olumide. Since his selection, it is clear Chukwuwezam Obanor and his team have been working diligently to take the organization to greater heights. Today, PrepClass hosts 135 tutors, up from the nine tutors the organization had when it first opened. But that’s not where the story of PrepClass’s growth ends. From 2014, the year Chukwuwezam was selected as an Anzisha Fellow, to date, PrepClass has experienced an exponential increase in revenue. Today, PrepClass makes on average 1400% more than it’s starting revenue. Chukwuwezam’s inspiration for creating PrepClass came from attending a MIT event in Lagos about entrepreneurship. While at the event, ideas about disrupting traditional education were mentioned inspiring Chukwuwezam to team up with Ogunlana Olumide in order to turn ideas into action. PrepClass is a brilliant innovation which started out by providing test materials online and catering to the client’s experience by making test prep easier. To increase the impact they had on student’s performance, PrepClass evolved into providing students with tutors who could visit their homes and teach them on a one-on-one basis. PrepClass tutors employ a personalized approach with the primary focus being on the student’s personal weaknesses and helping them develop their strengths. So what can the growth of Chukwuwezam’s enterprise be attributed to? He describes the newfound success as a result of building his company with a client-centered focus and his team’s tenacity. PrepClass’s organizing team is passionate about bringing the very best education to their clients. Their primary focus has always been ensuring that they only recommend the best 1% of tutors in Nigeria to clients so they continue to enjoy increased patronage from their existing clients and recommendations to friends. This coupled with an easy to use web platform has lead to many referrals. In sum, creating a product which meets his clients needs, has been a key factor in their success. 5 years from now, Chukwuwezam wants Prepclass to be pan-African brand across at least 7 countries in Africa with thousands of satisfied clients and happily engaged tutors who are doing what they love which is imparting knowledge to people around them. Being selected in 2014 as an Anzisha Fellow puts Chukwu right in line with accomplishing this goal. Anzisha Prize, a Pan-African brand, has connected him with young entrepreneurs across the continent with similar aspirations to grow their network and affords him the opportunity to attend Regional Indabas with Anzisha Fellows and graduates of the African Leadership Academy. However, getting PrepClass off the ground wasn’t always smooth sailing for Chukwu and his team. It meant taking risks and leaving a secure space of employment for entrepreneurship, a lifestyle which has no roadmap. When he began, Prepclass, he left his job to pursue a dream. For six months, Chukwuwezam and Olumide used all their savings to get PrepClass off the ground. At the time they got started, they weren’t making any money and had no income sources to sustain themselves. Both decided to seek out traditional employment and went back to the job market. Within three weeks they were both re-employed but found out soon after, they won an entrepreneurship competition they had applied for over a month ago. Confirmation that their enterprise from an external body confirmed for them that their dream was worth pursuing pushed them re-commit to PrepClass. We have a dedicated monthly newsletter for educators and supporters of very young entrepreneurs. Subscribe to Anzisha Prize Perspectives Today!